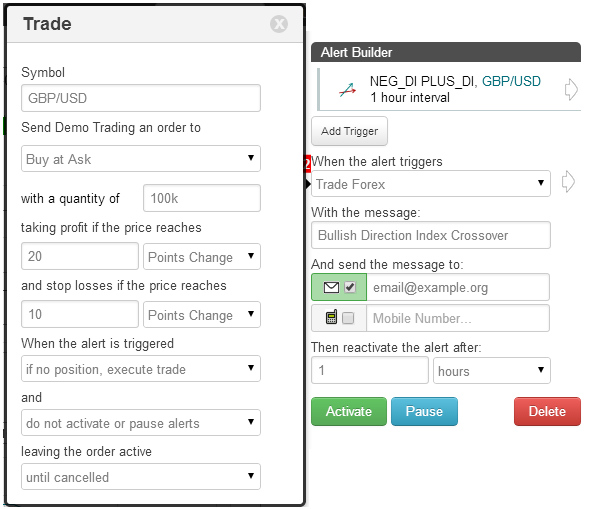 On the TimeToTrade charts, a Average Directional Index indicator can then be used to execute trades, provide an Email or SMS text message notification when your candlestick chart patterns have been met or backtest a trading strategy. The Directional Movement Index is an oscillator that indicates whether or not a market is trending. The indicator consists of two lines: the Plus Directional indicator line (+DI) and the Minus Directional Indicator (-DI). They are usually plotted on the same chart as their associated moving average, the Average Directional Index (ADX). The +DI measures how strongly the price is moving upwards. The -DI shows how strongly price is moving in a downward direction. +DI generally moves with price; if price increases +DI increases; as price decreases +DI decreases. –DI on the other hand, generally moves opposite to price, rising as price falls and falling as price rises. As with the DI, the ADX indicator fluctuates between 0 and 100. Unlike the +DI and –DI, the direction in which the ADX moves does not indicate if the trend if up or down, rather it shows if the trend is strong or weak. Values below 20 indicate a week non-trending market whilst values above 40 indicate a strong trend. The indicator is useful in providing a warning that the market is changing direction from trading sideways to trending (and vice-versa). Learn more about the Average Directional Index indicator. 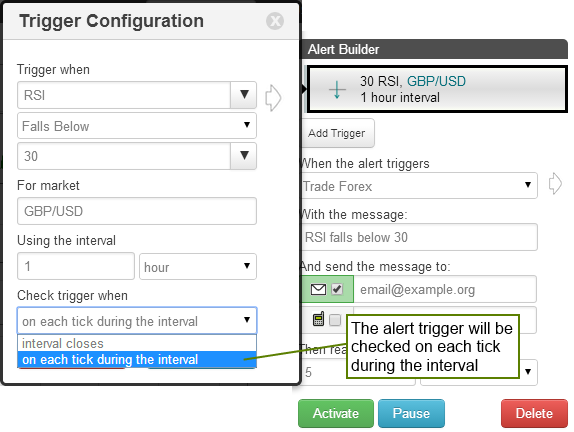 Rising Threshold Alert Trigger, is triggered when the value of the Average Directional Index rises above a specified value. Falling Threshold Alert Trigger, is triggered when the value of the Average Directional Index falls below a specified value. 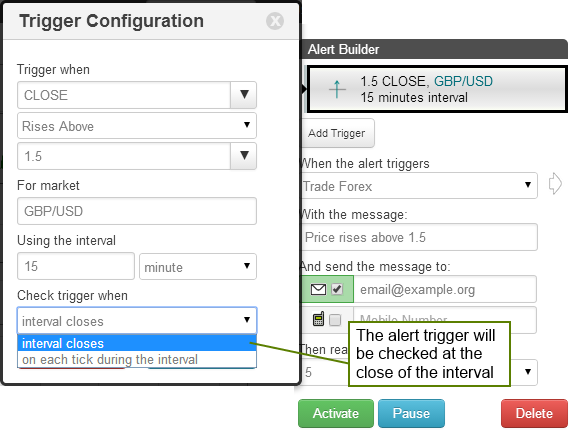 Break-Out Alert Trigger, is triggered when the Average Directional Index increases by a specified value within a the selected interval period. Pull-Back Alert Trigger, is triggered when the Average Directional Index decreases by a specified value within a the selected interval period. Percentage Break-out Alert Trigger, is triggered when the Average Directional Index increases by a specified value within a the selected interval period. Percentage Pull-back Alert Trigger, is triggered when the Average Directional Index decreases by a specified percentage within a the selected interval period. 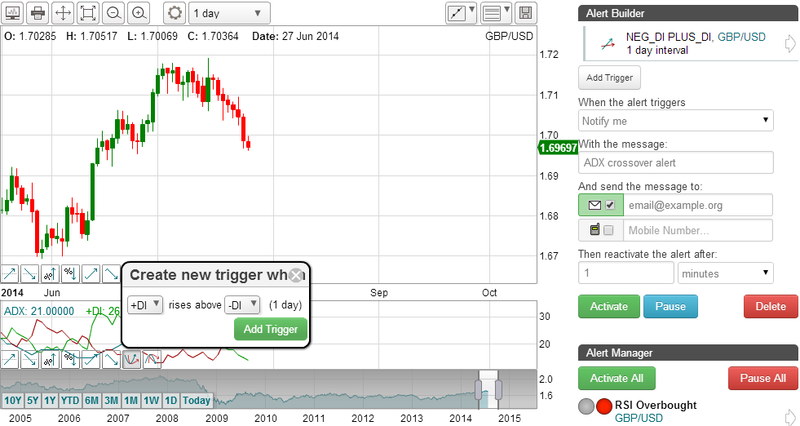 Above Alert Trigger, is triggered when the Average Directional Index is above a specified value. 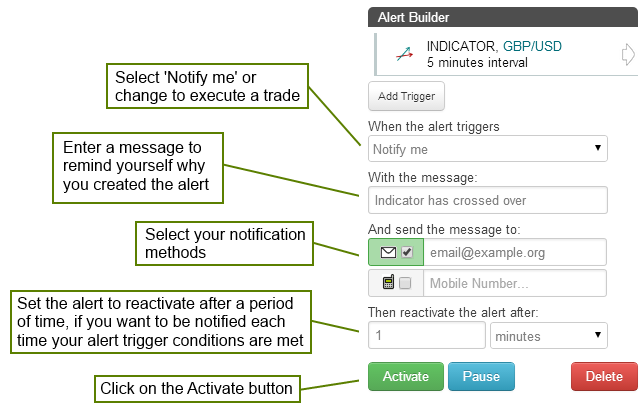 Below Alert Trigger, is triggered when the Average Directional Index is below a specified value. Positive Crossover Alert Trigger, is triggered when the Average Directional Index rises above / crosses over another indicator, price, a specified value or trend line that you have drawn on the chart. Negative Crossover Alert Trigger, is triggered when the Average Directional Index falls below / crosses under another indicator, price, a specified value or trend line that you have drawn on the chart.